Tue, May 15, 2018, 12:34 pm SL Time, ColomboPage News Desk, Sri Lanka. May 15, Colombo: In order to solve the current unemployment problem in Sri Lanka, vacancies in the public service should be filled and the employment opportunities in the private sector should be increased with jobs providing employee provident funds. He noted that the government should provide assistance to self-employment, agriculture and fishing industries. "If these tasks are done successfully, we will be able to develop the economy by creating jobs. For the first time after the war ended in 2009 we will create an era providing employment, "the Prime Minister said. 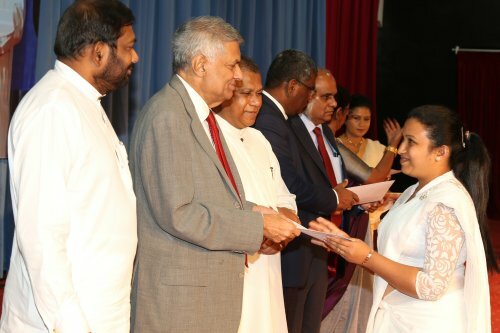 Prime Minister Wickremesinghe made these observations at a ceremony held on Monday at Temple Trees to present appointment letters to 4,511 recruits Management Assistants who are newly recruited to Public Management Assistants Service. The Premier said more job opportunities will be created following the introduction of the industrial and tourism zones. "Following the war we were not able to receive investments we hoped for. Since 2015 as a government the first step we took is to settle our outstanding debt. The country's economy was in a precarious position and we were unable to settle the colossal loans obtained by the previous regime," the Premier said. 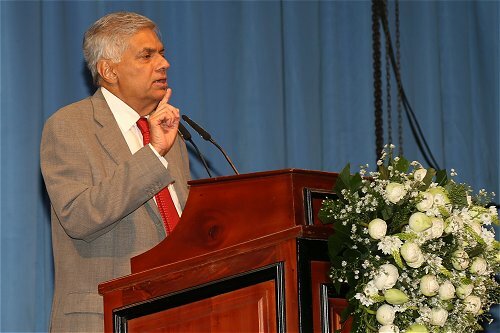 The Prime Minister pointed out that Sri Lanka recorded its highest Foreign Direct Investment (FDI) of USD 1900 million in 2017. "This was in addition to the investment made to the Hambantota Port deal. The country's highest exports was also recorded in the same year," the Prime Minister added. He said that more investment is expected this year with even higher Foreign Direct Investment and exports by 2020. "This would boost development in the country," the Premier said. "From 2017 up until 2020 it is our goal to further increase the FDI and exports. We are to commence constructions of three industrial zones in the areas of Bingiriya, Kalutara and Weligama. And from this we expect to provide employment," he said. He added in addition, the Good Governance government has created stability that has resulted in a conducive atmosphere where youth can be recruited to the public service, the setting up of Free Trade Zones, Tourist Zones and training youth through Yowun Senankaya to create employment opportunities. Public Administration and Management Minister Ranjith Madduma Bandara and Minister Daya Gamage were also present.